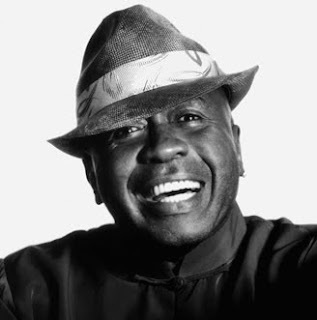 Venerable Broadway, film and television actor Ben Vereen will visit Whitworth on Friday, March 12, to share experiences from his 35-year career as an entertainer and to conduct a master class with a musical theatre student. Diana Trotter, a professor of theatre at Whitworth, describes Vereen as "outrageously talented" and "a legend." "When his agent called us to ask if we were interested in having him come to campus, I was speechless," Trotter says. "Apparently, he really cares about and loves to work with college students." Trotter continues, "Vereen's agent said that she chose Whitworth because it looked to her like we had the strongest music and theatre program in the area. It's a tremendous honor for us, but more importantly, it's a once-in-a-lifetime opportunity for our students." Vereen's lecture and class will take place on Friday, March 12, from 4 to 6 p.m. in the Music Recital Hall. Admission is free. Tickets are not required, but can be obtained in the Whitworth Theatre Department office in Cowles Auditorium until Friday. Priority seating will be given to Whitworth musical theatre students, as well as faculty and staff. Seating for the rest of the campus and the general public will be on a first come, first serve basis. Some of Vereen's recent Broadway performances include Wicked, Fosse, I'm Not Rappaport, Hair and Jesus Christ Superstar. His performance in Pippin garnered him a Drama Desk Award and the 1973 Tony Award for "Best Actor in a Musical." Vereen has appeared on several television shows, including a 2007 episode of Grey's Anatomy, for which he received a Prism Award. In terms of his television work, he is perhaps best known for his Emmy Award-nominated role as Chicken George in the 1977 mini-series Roots. Other career highlights include five honorary doctorate degrees, an opportunity to entertain at the reopening of the Ford Theater in Washington, D.C, and founding "Celebrities for a Drug Free America," which raised more than $300,000 for drug rehabilitation centers, educational programs and inner-city community-based projects. During his time at Whitworth, Vereen will begin with an hour-long lecture tracing his career in show business and sharing lessons he has learned through it. He then will teach a master class in which he will work with senior Mollie McComb, a double major in music and theatre, on a piece she has prepared ahead of time. Trotter says the master class experience will be similar to being backstage and witnessing how a performance is created rather than just seeing the end result. "I personally am thrilled to meet and learn from Ben Vereen; I've been a huge fan since high school," Trotter says. "But, it is an even bigger thrill to be part of making this happen for our students. This is the kind of opportunity that you don't normally find in schools of our size." Trotter says the Whitworth Music Department, the Speakers & Artists program, and the Weyerhaeuser Center all provided funding assistance for Vereen's visit. Diana Trotter, professor of theatre, Whitworth University, (509) 777-4431 or drotter@whitworth.edu.